The Guild offers a platform to discuss issues with policy and decision makers and key stakeholders in the UK and internationally. The Guild panels seek to identify trends and opportunities for members, it provides a voice for its member companies, representing them by raising policy issues with both UK government and global standard organisations.The Guild’s events, publications and research help to promote and grow member businesses within the pipeline industry and associated sectors. Established companies or those looking to enter, explore or expand in the pipeline industry will find Guild membership a real asset. We have a solid foundation working within Engineering and Manufacturing Organisations In the Energy, Utilities and Automotive sectors. Strategically located in North East England, we offer our services throughout the UK and Europe. 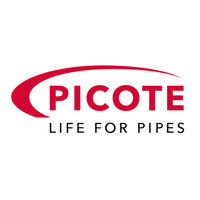 Picote Solutions is a global innovator and manufacturer of trenchless tools.